Dapi, a sync software for iPads ! Dapi is a software allowing to send and collect digital files (without WiFi) within iPad applications allowing multimedia content management. Easy to use, Dapi syncs quickly digital files on multiple iPads (PDF, Texte, Video, PowerPoint, etc.) and help to send large files. With Dapi, collect all the work from creative applications on multiple iPads, at the same time ! Save and export your creations easily. 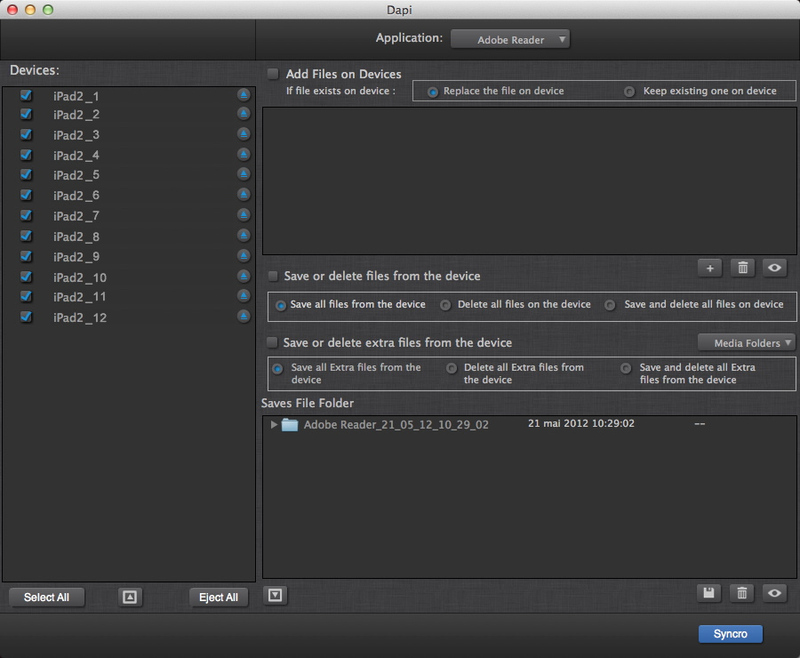 Over the time, create & collect data adds a lot of files, and reduce the tablet space storage. Through Dapi, delete quickly all the application files to free up space on each tablets !